What could be more appropriate for an intitial entry than a tutorial on rigging one of the most versatile baits in your fishing arsenal? Here is a step by step guide to rigging the Hawg Shad – the king of soft jerkbaits. For the demontsration, we are using a 5″ Hawg Shad and a 3/0 EWG hook. 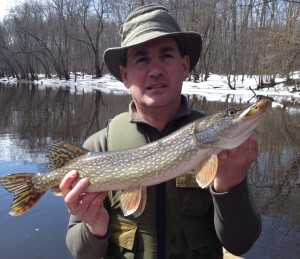 Insert the hook point into the nose of the bait at a 45 degree downward angle. Push the hook point through and out the “chin”. 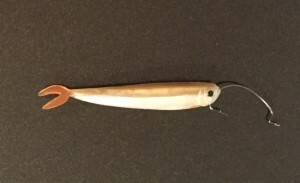 Hawg Shads have two V’s on the chin formed by the gill detail of the bait. I like the hook point to come out between the two V’s. 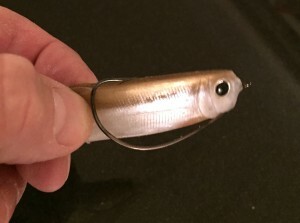 Rotate the hook shank, so the point in on the top side of the bait. Note where the hook bend crosses the bait. Push the hook through at this point from belly to back. 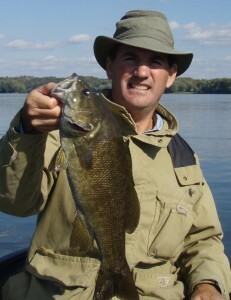 When complete the bait should be straight and the hook point should lay on the back of the bait. 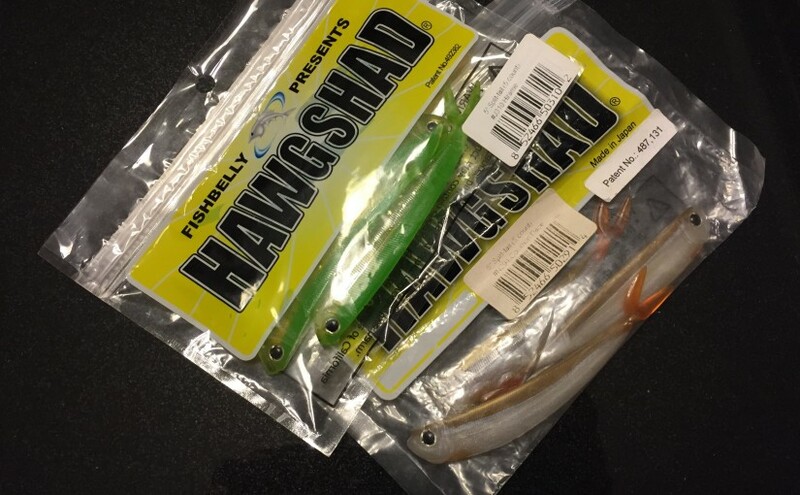 In its basic form of an EWG hook and no weight, the Hawg Shad will dart and glide like a distressed baitfish. 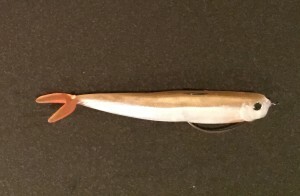 The near weedless rigging allows the angler to probe fish holding cover with little fear. 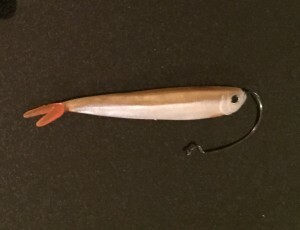 This simple rig is one of the deadliest shallow water presenations for smallmouth, largemouth, northern snakeheads, pike, musky, and just about any other gamefish you can think of.